The International Documentary Association (IDA) will present its prestigious 2015 Career Achievement Award to Gordon Quinn, Founder and Artistic Director of Kartemquin Films. Gordon will receive the honor at the 31st Annual IDA Documentary Awards at Paramount Pictures' Paramount Theatre in Los Angeles on Saturday, December 5, 2015. Previous winners of the illustrious award include Robert Redford, Werner Herzog, Barbara Kopple, DA Pennebaker and Chris Hegedus, Ricky Leacock, Albert Maysles, Frederick Wiseman, Henry Hampton, Robert Drew, Michael Moore, Marcel Ophuls, Jean Rouch, Walter Cronkite, and Bill Moyers. Also to be honored at the IDA awards will be Ted Sarandos, Netflix's chief content officer, the Bertha Foundation and its founder Tony Tabatznik, and (T)ERROR directors Lyric R. Cabral and David Felix Sutcliffe. Read the announcement in The Hollywood Reporter and get tickets to attend. 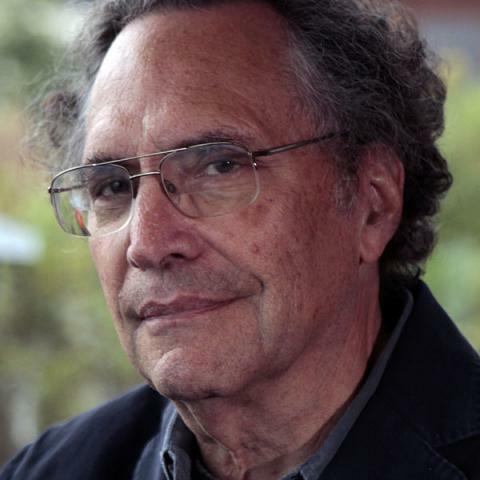 Gordon Quinn has produced, directed and/or been cinematographer on over 55 films across five decades, garnering many awards, including three Emmys, two Peabodys, the IDA award for Best Limited Series (for The New Americans, 2004), the DGA award for directing (Vietnam: Long Time Coming, 1998), and an Oscar® nomination and the Robert F. Kennedy Award for Hoop Dreams (1994). His recent films as executive producer include The Interrupters (2011), The Trials of Muhammad Ali (2013), Life Itself (2014), The Homestretch (2014), On Beauty (2014), Almost There (2014), Saving Mes Aynak (2014), In The Game (2015), and the six-part series Hard Earned (2015). A longtime activist for public and community media, Quinn was integral to the creation of ITVS, public access television in Chicago, and the Documentary Filmmakers Statement of Best Practice in Fair Use; and in forming the Indie Caucus to support diverse independent voices on Public Television. Over 50 years at Kartemquin, Quinn has inspired and guided an immeasurable number of media makers whose films have left a lasting impact on millions of viewers. We are delighted that this recognition for Gordon comes on the eve of our 50th anniversary celebrations in 2016 (we will be sharing more details on this soon). Gordon was also recently listed in New City's 50 Chicago "Screen Gems" and will be honored with a special tribute at the Houston Cinema Arts Festival this November.